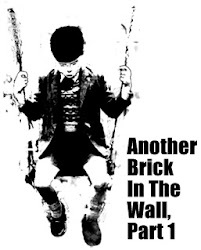 Another Brick in the Wall: Is DBKL cavorting in Mahathir cronies' lease and "lesap" scam at Bukit Kiara? The land in question was leased to MEASAT Digicast Sdn Bhd and supposedly a subsidiary of MEASAT Global Berhad (MEASAT) for the 1998 Commonwealth Games. Binariang Sdn Bhd took up the initiative for Tun Dr Mahathir and launched the Malaysia East Asia Satellite in 1992. Initially, the initiative was under Maxis but has turned independent [The history in MEASAT web here]. MEASAT basically belongs to Mahathir's crony. Is it crony or proxy? This fight to save and preserve the Bukit Kiara land had been for a while. It had the support of BN MPs and politicians. In 2005, Parliament's PAC led by Tan Sri Shahrir Samad met up with DBKL's Mayor, Datok Ruslin Hasan. Also supporting is then Minister for Youth and Sports, Dato Azalina Md Said. DBKL concurred with the group Friends of Bukit Kiara (FOBK). Read Oct 11th 2005 report, "Victory in sight after 10-year fight" by The Malay Mail. A parcel of land in Bukit Kiara, leased to Measat Digicast Sdn Bhd for carrying out media broadcasting during the 1998 Commonwealth Games, is likely to become another green lung in the city. 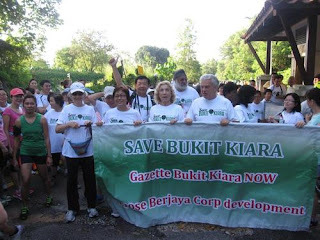 Friends of Bukit Kiara (FOBK), a nongovernmental organisation, in a media statement said Kuala Lumpur City Hall will not permit any development on the vacant land. "We are thankful and fortunate for the support from several cabinet ministers, parliamentarians and Prime Minister Datuk Seri Abdullah Ahmad Badawi himself in resolving this matter." ... Youth and Sports Minister Datuk Azalina Othman, the Education Ministry, Women, Family and Community Development Minister and former acting Federal Territories Minister Datuk Shahrizat Abdul Jalil, Subang member of parliament Tan Sri K.S. Nijhar, Woman, Family and Community Development parliamentary secretary and PJ Utara MP Datin Paduka Chew Mei Fun, PJ Selatan MP Datuk Donald Lim and Deputy Minister in the Prime Minister's Department Datuk M. Kayveas. KUALA LUMPUR: The Government is in negotiations to gazette three plots of land for a large-scale public park project in Bukit Kiara. Housing and Local Government Minister Datuk Chor Chee Heung said development had started on four lots of land for the park, an initiative under the 10th Malaysia Plan. “The development of the three lots has not started as the Government is still in the midst of negotiating for two lots that were leased to Measat and one lot that is partly occupied by Bukit Kiara Equestrian Club. “We are in the final stages of negotiations. Hopefully, it will done by next year,” he said during a press conference at the Bakti building in Taman Tun Dr Ismail yesterday. Asked why the federal government took a long time to gazette the land, Chor said the government was in negotiation with Measat Broadcast Network Systems Sdn Bhd for land lots which were leased out to them. "The government is negotiating with them to move out, so that they can go to another place. They have been offered another place, and they are considering moving out. Once they move out, only then can we really calculate the exact area of this 'green lung' to gazette it as a public park," he said. On paper, the hill is divided into seven parcels, with Berjaya Corporation owning 25.1 hectares of it, Measat owning another parcel and the rest belonging to the NLD. Berjaya wanted to develop its land into real estate, but the bid was blocked by Kuala Lumpur City Hall. At the same time, however, NLD has embarked on a series of efforts to “upgrade” the hill with built structures. A perimeter fence 3.5m high and 4.7km long is being erected and is 80% complete. NLD has claimed that the purpose is to demarcate Bukit Kiara from neighbouring private lands. Other developments include the construction of a retention wall to prevent landslips. The Friends of Bukit Kiara (FOBK), a loose coalition of NGOs, has accused the authorities of allowing the hill to be destroyed by the new structures. 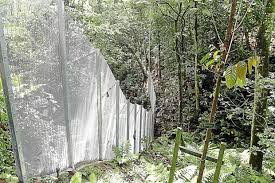 FOBK says the fence, which it calls The Great Wall of Bukit Kiara, was built at the expense of cutting down some 3,000 mature trees. On June 5th, 2012, Tristupe blog wrote: A Gruesome Find In Bukit Kiara. NLD is Jabatan Lanskap Negara. It is a department under Ministry of Urban Well Being, Housing and Local Government. The Ministry was established 3 years ago. Previously, it was two Ministries; Ministry of Federal Territories and Urban Well Being, and Ministry of Housing and Local Government. They would not be encroaching without DBKL's dobby mark. However, oppo are prejudicial and too quick to steer the conclusion to corruption and cronyism. Those mentioned are small plays. Bukit Kiara fight always had the support of BN politicians. And it still is. Corruption cannot happen without civil servants being a party to it. Malaysians must not mudah lupa . It was only August [read here] that MACC held and subsequently charge a Development Director of DBKL which owned 33 condominiums! Federal Government can plan but DBKL can botch it up and put up barriers to sabotage. Politicians may have good intentions but civil servants may not cooperate. And opposition politicians can be corrupt too. As one source close to opposition state governments realised recently, BN are seldom accused for corruption but Selangor PH politicians are four times more corrupt! Little Napolean civil servants can ignore the directive from Minister. Either by conjuring procedures and policies to block or plainly ignore as happenned with a Dato Keramat condo development [read here]. In the case of Berjaya, those familiar with the case claimed the lease agreement from DBKL was made loose and the victory for Berjaya in the court seemed planned. Was it the same with the lease agreement with Ananda Krishnan's MEASAT? DBKL is under the Prime Minister's Department but there is also a Ministry in charge of Federal Territory. The common blame from the public tend to towards DBKL or FT Ministry. Which is the case and true or false, how come Vincent Tan's Berjaya and Ananda Krishnan's MEASAT could get away with an allegedly loose lease agreement? It is better for Khazanah to give government the allocated fund to develop Bukit Kiara than developing Taman Tugu. There is insufficient public recreational parks in Kuala Lumpur. Worse still, in most major cities and towns in Malaysia, common folks do not have proper public park for family outing and morning or evening workout except at shopping malls and paid gyms. Existing public recreational park tend to be taken up by corporate sponsored events on weekends at expense of public use. Common folks are continually being deprived of green lung and recreational areas as green areas and beaches are turned into expensive condominium or golf courses or private and exclusive "Country and Equesterian Resort"! Sudah lah . Your remit is clearly To Attack anyone who goes against your bosses. So lame and predictable. Ask la where the 2.6b went? Berani? I don't think so. its really funny you quoted my friend in your post. i myself am also part of the people who fought for the preservation for KOta Damansara forest. UMNO selangor mangkuk hayun didnt listen to our pleas. In the end we had to pressure PKR Gov and ,,,since this was during the glowing climate of post PKR victory election, they listened and now as it is the section 10 KD forest is a preserved lung, much to the benefit of the many who live in KD and beyond. Projek tugu negara was a DUMB idea of our embarassment of a PM. people like us who fought the good fight to preserve our natural green lungs could only laugh in disbelief when this idea was meted. Why stop at 2.6 billion, we can extend to WSJ caim of USD100 bil lesap and more lesap in Penang and Selangor. Its a cheap diversion argument to seek the absolute consistency. So DAPinky style argument. Bukit Kiara is a separate issue by its own. Is Kota Damansara issue related to Bukit Kiara? DAPinky too? You are making ill informed comment. It was a recommendation by PEMANDU. DO your checking please.